The Novak Group was started by Brian Novak who has over 20 years of building experience. After moving to Charlotte in 2002, a business that began by buying, renovating, and then hopefully selling homes quickly grew into a more client focused endeavor. Kitchen and bath remodels, as well as home additions, exterior renovations, and repairs started to become the focus. Brian’s background is a degree in Industrial and Systems Engineering, which provides a sound understanding of the systems involved in residential and commercial construction, along with an organizational and financial management aspect some builders lack. Brian is on-site daily and always available to answer your questions before, during, and after the project. Quality, credibility, vision. More than just words to us. We are every bit as invested in your projects success as you are. We are not only in the business of building homes, we are in the business of building relationships. Your utmost satisfaction in the completed project is our highest priority. 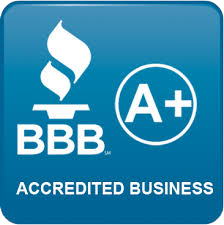 That is why we are members of the Charlotte Better Business Bureau, The Business Leaders of Charlotte, are compliant with state licensure for General Contractors, and maintain all bonding and required insurance. Our attention to detail, quality of work, and hands on approach has lead The Novak Group to become one of Charlotte’s fastest growing design-build firms. This simply means that we have the ability to help you in the home design and site plan creation (drawings) for your project. This is particularly helpful for smaller projects, or where hiring a designer and/or architect is neither practical, nor cost effective. If you have an existing relationship with these specialties, than we would be happy to work with your plans and specifications to bring your project to completion.